Pulitzer Prize-winning journalist Charlie Savage's penetrating investigation of the Obama presidency and the national security state. ...Savage provides a comprehensive, authoritative history of the legal side of national security policy making during the Obama years. That might sound dry and forbidding, especially in a book so dense and long (almost 700 ­pages of text). But anyone truly interested in foreign policy or national security should find it essential and enthralling, thanks to the author’s intelligence, objectivity, legwork and literary skill. The great strength of Power Wars, and sometimes its weakness, is its methodical, exquisitely detailed chronicling of the back-and-forth between principals and deputies as they crafted policy. That said, one can’t help wishing at times that Savage had chosen to tell this story by focusing on a handful of characters and their roles in the events rather than writing an exhaustive catalogue. National security law experts will find little of interest here. The legal analysis is superficial throughout—the book is strung together from short vignettes that read like, well, New York Times articles—and Savage seems unable to judge whether the arguments made by the lawyers are legally sound. 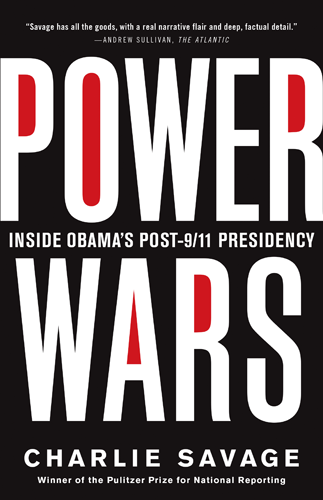 What did you think of Power Wars: Inside Obama's Post-9/11 Presidency?